In this week's episode of Inside The Mouse Castle, Anthony has an existential crisis. We're attributing it to a cataclysmic combination of Neil deGrasse Tyson, sleep deprivation, Ant-Man shrinking down to a molecular level and the wretched "Be Our Guest" number from Disney's Descendants (debuting this Friday on the Disney Channel). For the first time, the D23 Expo will split their traditional motion picture fan presentation into two separate events, one for animation and one for live action. We're hoping for big announcements (or at least some new trailers) for Star Wars: The Force Awakens, Captain America: Civil War and Finding Dory. I finally saw Ant-Man and thoroughly enjoyed it. I left the theater totally perplexed, though. Why don't people stay all the way to the end of a Marvel movie to see the post credit-scenes? Have they not learned? The last scene in Ant-Man (and yes, it comes at the very end) is not to be missed. 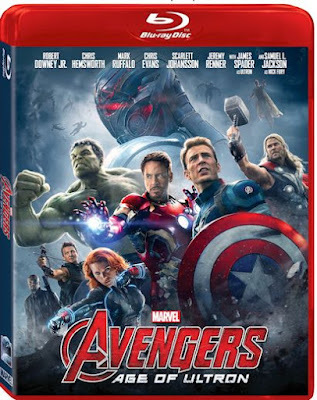 It does an epic job setting up (and raising a few questions about) Captain America: Civil War. 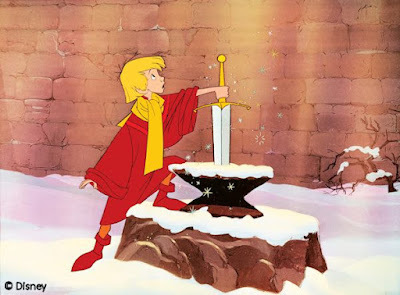 Annnd.....The Sword in the Stone is the latest Disney animated classic to go into development as a live-action film. We recap all we know about the full slate of upcoming Disney retreads. There's a new trailer for Pixar's The Good Dinosaur. Despite our earlier concerns about production delays, recasting and a new director, we're encouraged by what we see. But, with all the (justified) attention Inside Out has received, will people take to a second Pixar film in the same year? Avengers: Age of Ultron will be available on digital download September 8th. Want it in a disc in a box? That's available on October 2nd. Michael Jackson as Jar Jar Binks? It almost happened. Well, Michael thought it would anyway.